Environmental accounts and information statements were compiled by NRM regions as part to the Australian Regional Environmental Accounts Trial. Environmental accounts housed the data in spreadsheet form, while information statements documented the data sources and analyses used to compile the accounts. Accounts were developed according to published Guidelines, then submitted to the Scientific Standards and Accreditation Committee for accreditation. Accounts were arranged by asset, spanning land, freshwater, coastal and marine environments. Assets were identified by NRM regions from their regional strategic plans. Together, the assets a broad set of values from a diversity of regional communities and landscapes across Australia. Click on the links below to download environmental accounts and information statements by asset or region. Note: Each package is a compressed file (.zip) containing the environmental accounts (.xslx) and the relevant information statements (.pdf). Note: Each package is a compressed file (.zip) containing the environmental accounts (.xslx) and the information statement (.pdf). 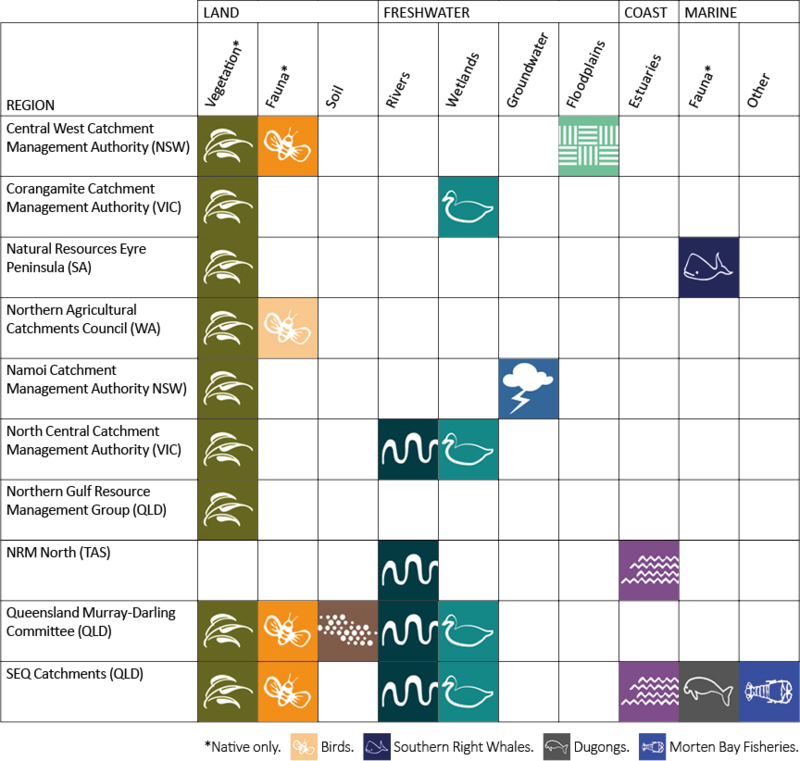 Assets within each NRM region selected for the Regional Australian Environmental Accounts Trial.